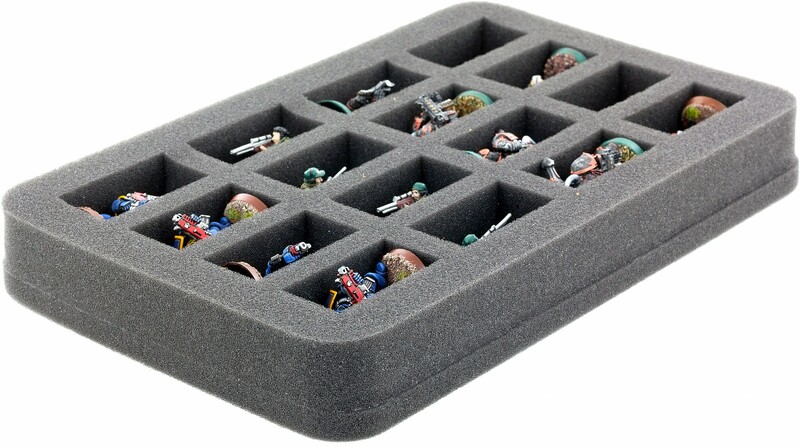 Perfect for all tabletop standard miniatures in 28 mm systems. 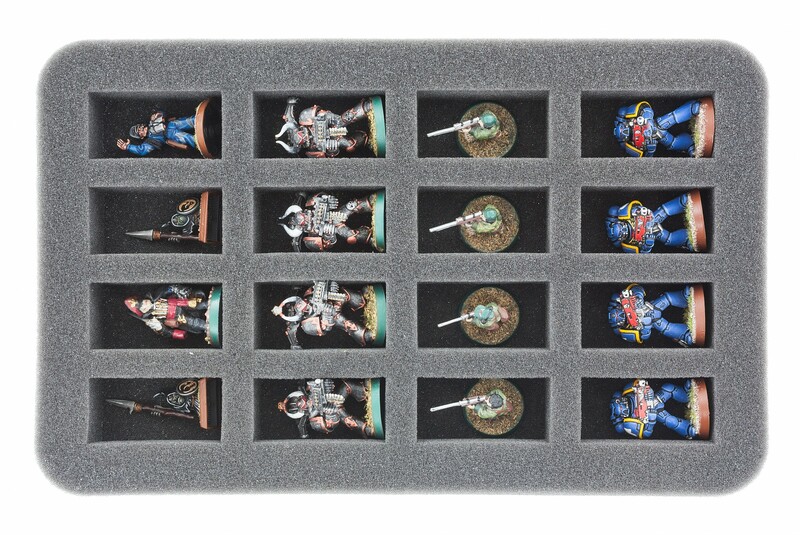 Perfect for all tabletop standard miniatures in 28 mm systems. 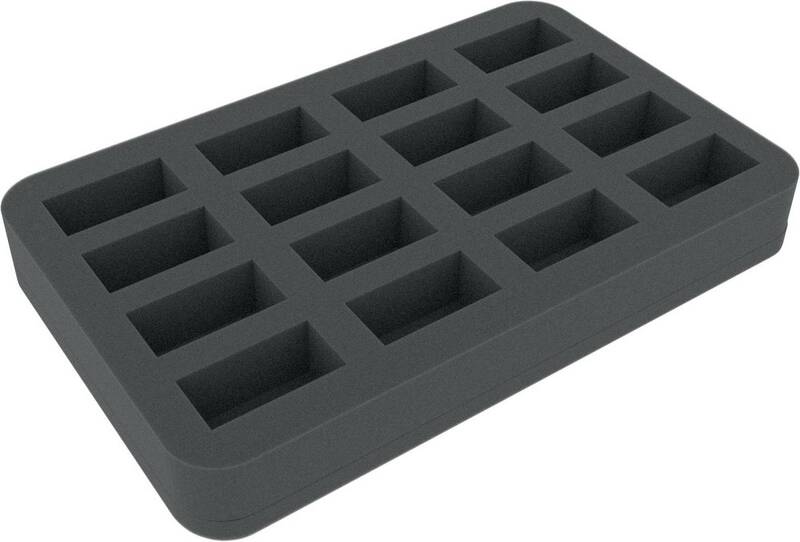 This foam tray has 16 slots - each slot 50 mm x 25 mm x 25 mm deep.